You don’t have to be ruled by fear, anxiety, or unmet expectations. You can choose Hope in the midst of whatever you are facing. But it takes practice. It takes encouragement. And it takes knowing the steps to get there. We know because we have been there and have come out on the other side – not unscathed, but wonderfully evolved. Now, with the help of This Is Living Hope: 8 Practices to Choose Hope in the Midst of Adversity, you, too, can begin to actively choose to pursue Hope. 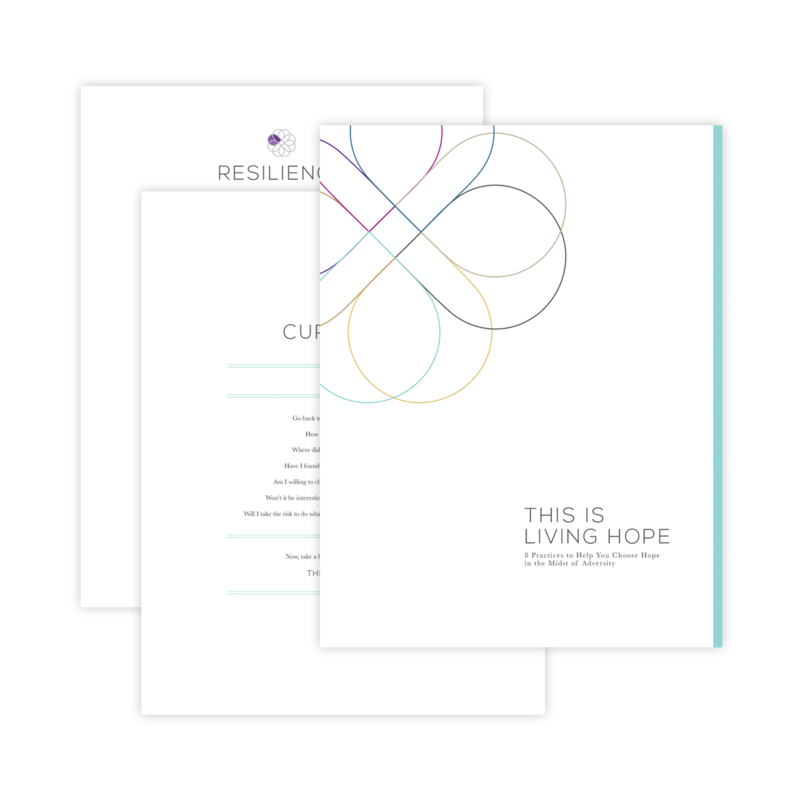 Created in collaboration with licensed counselors, specialists, and Living Hope community members, this digital workbook contains 42 informative and inspirational pages that will help you release your expectations, shift your perspective, and choose Hope in your everyday life. Based on the 8 Practices of Living Hope – Surrender, Stillness, Grief, Honesty, Curiosity, Forgiveness, Resilience, and Joy – each section will guide you as you choose to be fully present in your struggle, informed by its lessons, and joyful in its resolution. This interactive workbook has been beautifully and thoughtfully designed with you in mind. The exercises within each section are simple but powerful, and they can be completed within 30 minutes. Additionally, we provide multisensory resources to support you on your journey, including curated playlists, mindfulness exercises, journaling prompts and templates, and guided meditation so you can have a truly transformative experience. Because we believe that no one should live in hopelessness or despair. Not even you.